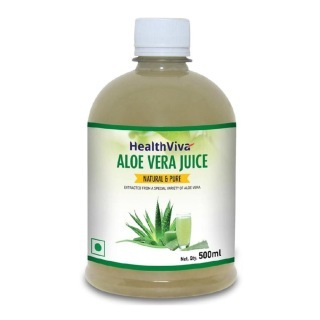 HealthViva Aloe Vera Juice is extracted from a special variety of Indica Aloe Vera. Rich in amino acids, vitamins, minerals, antioxidants and sugars, HealthViva Aloe Vera juice improves digestion and overall health. Rich in antioxidants, HealthViva Aloe Vera Juice helps protect cells against skin-damaging free radicals in the environment. Free from artificial colours and flavours, Aloe Vera Juice keeps joints flexible and improves overall metabolism to build immunity and assist weight loss. Regular consumption of Aloe Vera Juice helps flush out toxins from the body. Pure and Natural. Good Product!!! 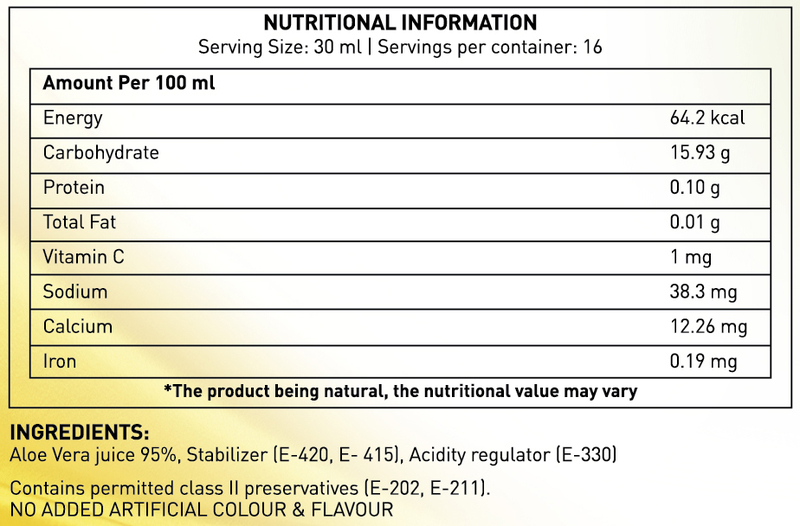 This product is pure and natural and with no artificial color or flavour. I have been using this product for about 3 months and liked the performance of this product. Use it empty stomach and is good for the overall digestive system. It tastes good and natural. Aloevera contains enzymes, amino acids, minerals etc. I will recomend it to every health concious. I bought it in an offer and got 2 in the price of 1 so another good to my pocket as well. I liked this product. I am posting this review after few weeks of my experience using Aloe Vera, It has really helpful for indigestion and also a good detoxifier. I am rating 5 stars to this product. Thanks HealthViva and Healthkart for this amazing product. Have been advised to take a supplement having calcium and vitamin d. The product offered sufficient quantity of both and is reasonably priced so absolutely loved the product. Satisfied with the product, really works. i think this is good,not quite sure. i recently read that the gel should not be extracted along with the green leaf,it stains the colon.The chemical substance in the green part is not good for the body. There is no mention of anything like that on the bottle though. i wanted to confirm that.